As we travel along that remote beach or down a road to anywhere, it is amazing how quickly the worries of our routine slide. Perhaps that is why getting out is so popular. And as we travel a little preparation can really keep the stress levels low if things start get tricky. On the prevention side it is important to match the tracks tackled with the capabilities and setup of the vehicle. It is also worthing considering driver experience, whether travelling alone or in convoy, as well as elements like rainfall and tide heights. Stepping up to harder routes over time is a good approach as it allows both skills and judgement to develop. On the preparedness side good recovery gear is essential. 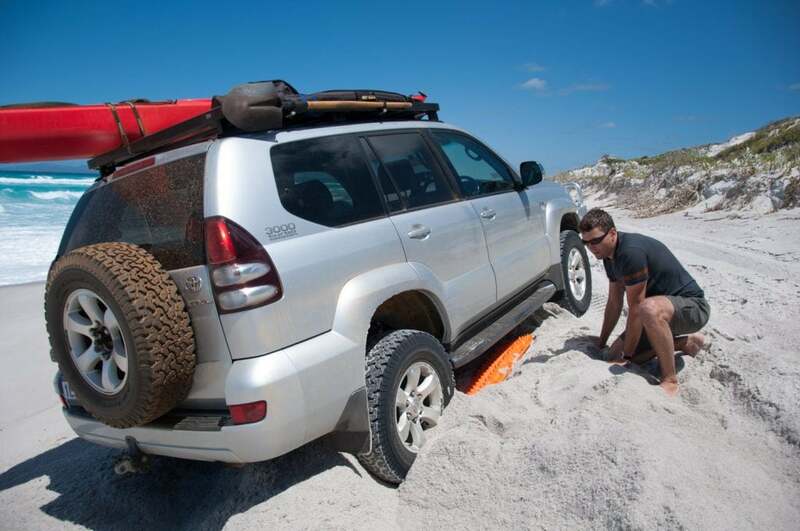 While all recovery gear has its place our MAXTRAX have become a staple that lives on the vehicle and gets us out of the majority of situations. 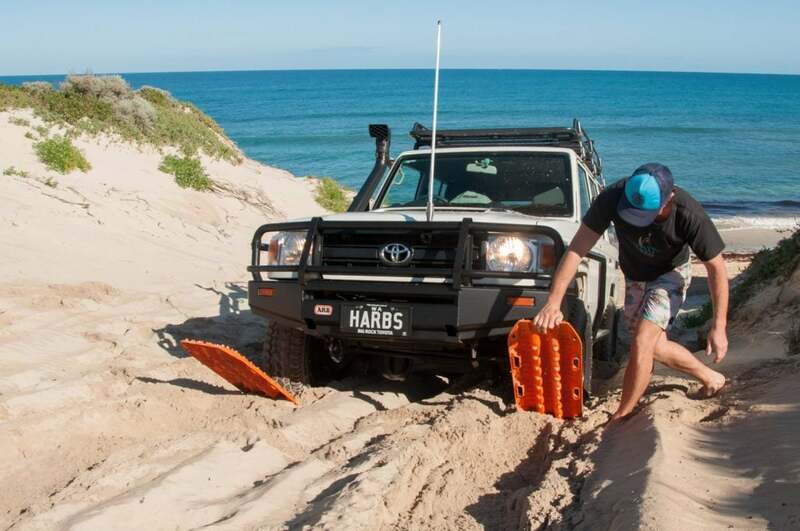 For those new to MAXTRAX they are 115cm x 33cm ramps that are simply placed or dug in under the tyres of a bogged 4WD. 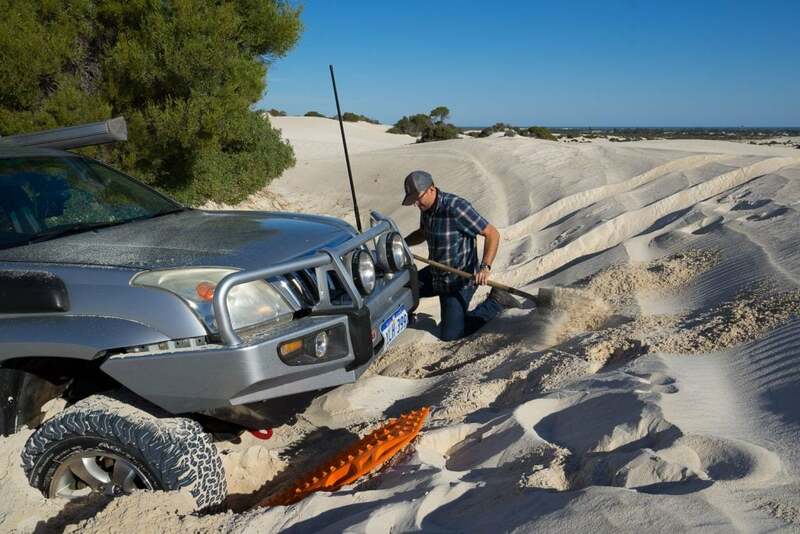 Once in place the vehicle can usually simply drive out and on to harder ground. The beauty is in their effectiveness and simplicity. 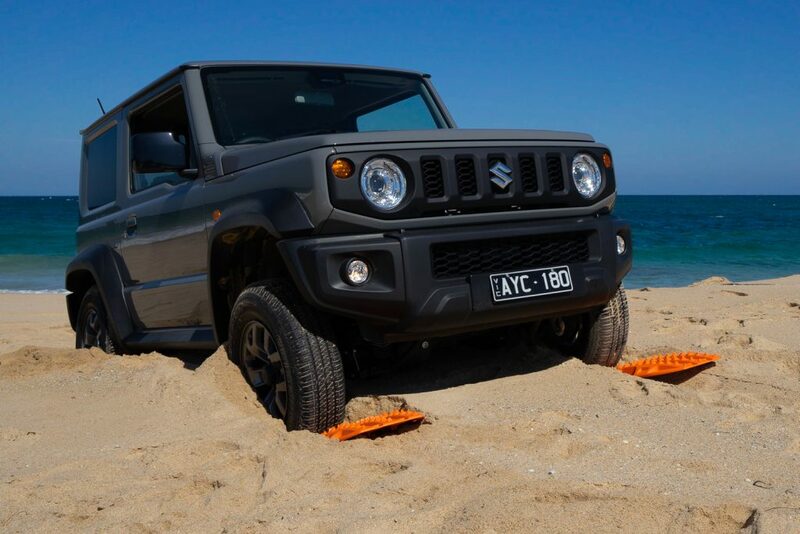 There is no need for a second vehicle and rated anchor points. 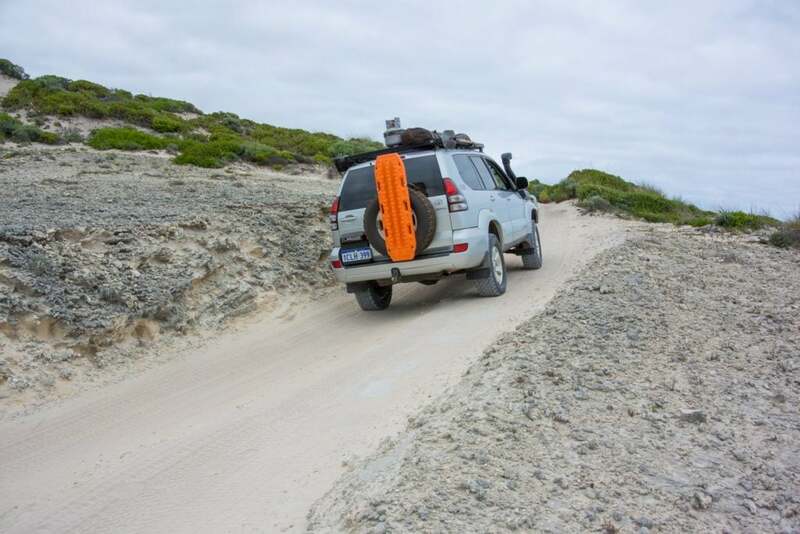 Our first recovery using MAXTRAX was a few years back; we were by ourselves at the far eastern end of Cape Arid National Park in Western Australia and we had not seen any other people all day. Wanting to see what was at the end of the bay we went a little further, and as the beach narrowed there was a track ahead which was by the edge of the dunes. 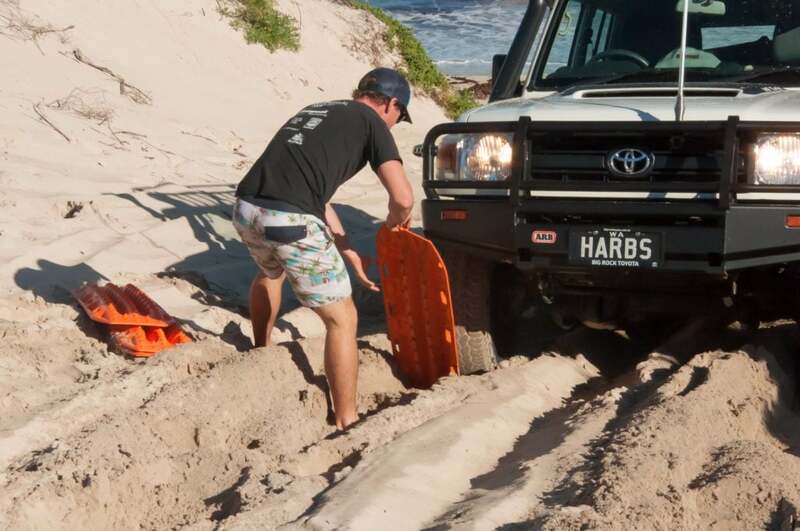 After a quick look we forged ahead and had almost made it when the sand slipped seaward and along with it the rear end of our Prado – we were stuck! The waves were close and our best way out was soft and uphill. 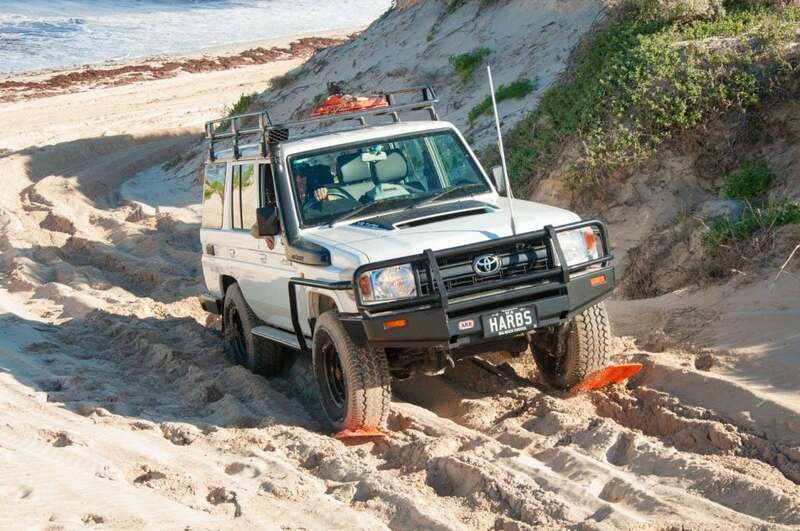 So we pulled out our new MAXTRAX, we only had two at this stage, and positioned them under the wheels most in need. We got a really good pop forward each time, and after a few resets we were back up and running – phew! The waves were a little too close for comfort. 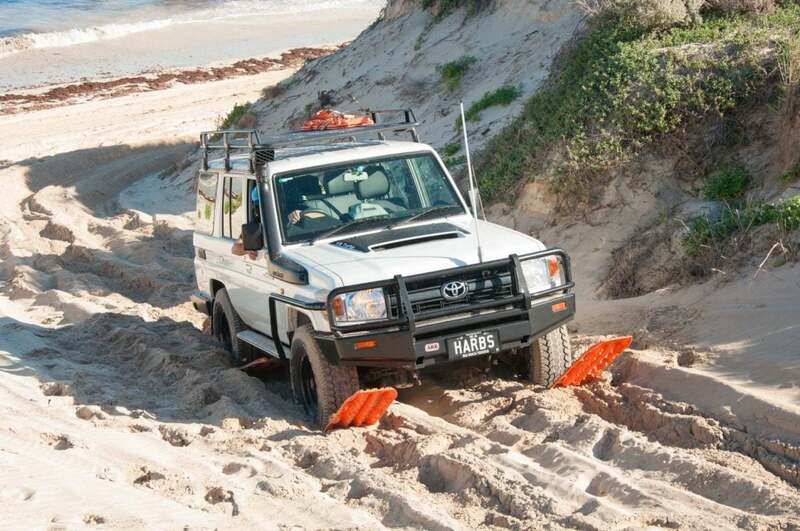 MAXTRAX are sold in pairs and two work well, however four work even better when really bogged! 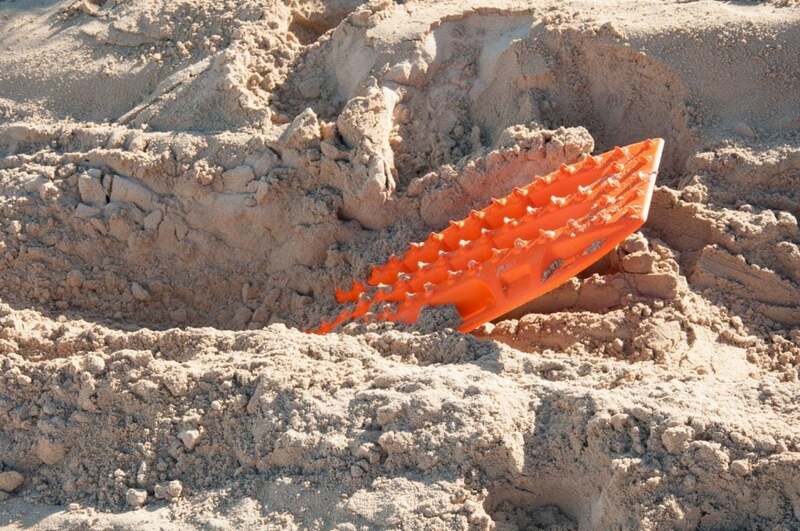 They work in the sand and mud and apparently the snow too. 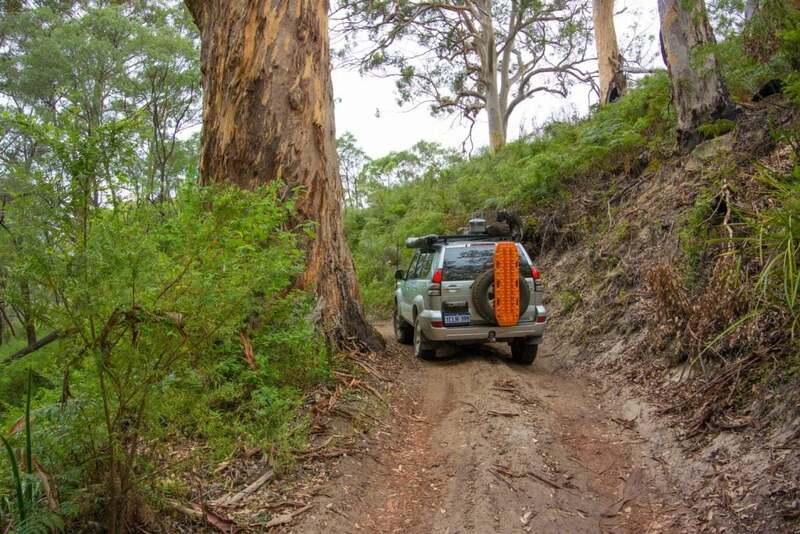 With grip on the top and bottom they stay in place on slippery terrain. The inbuilt handles are great for carrying and also mean you can use the under-side as a good shovel for digging them in under the tyres. They come with bright orange tell-tale leashes to help you find them in the mud and sand post recovery. 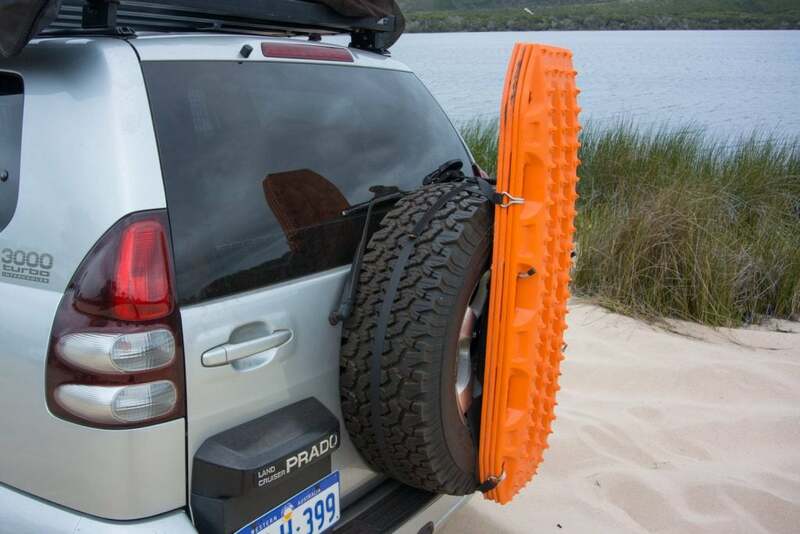 MAXTRAX also offer a great roof rack mounting pin set which is lockable as well as a rear wheel harness. 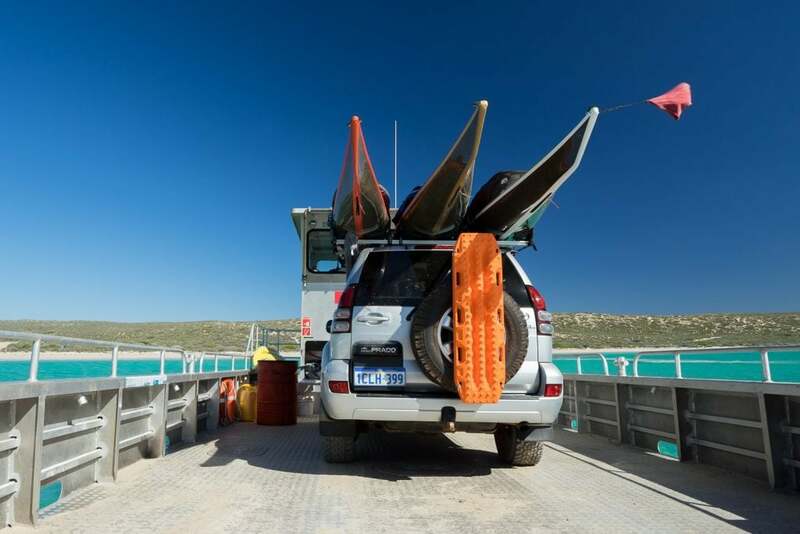 Australian designed, made and owned MAXTRAX have been used on epic adventures the world around. They are effective and easy to use making them the perfect first piece of recovery gear for those starting out.